Please refer to our stock # TR860 when inquiring. 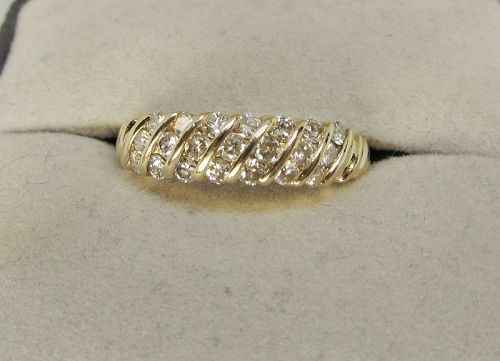 An elegant 14Kt yellow gold ring that is diagonally channel set on top within 21 full-cut diamonds in seven rows. The approximate total weight of all diamonds is 0.45Ct. The ring is a size 6 ¼ and it can easily be sized.